I usually miss out on these deals due to something or another. 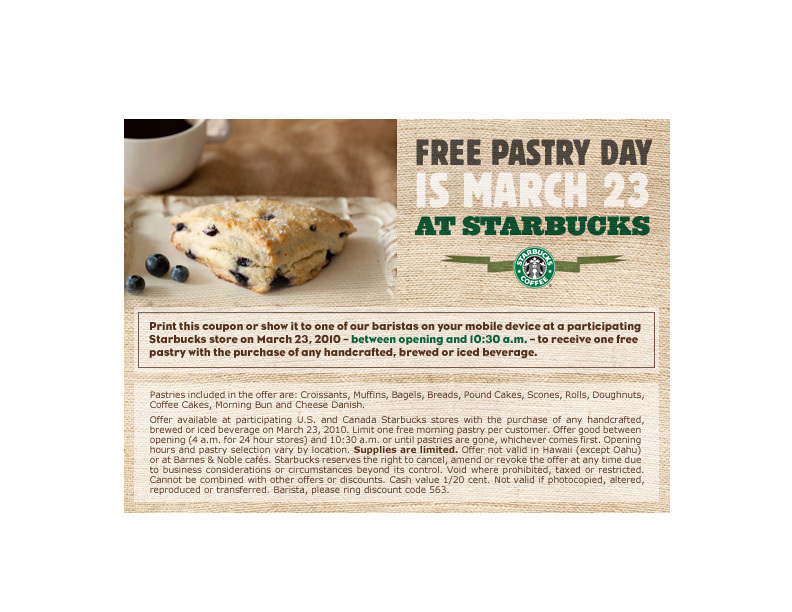 But here’s an opportunity for you to grab a FREE pastry from Starbucks with the purchase of any handcrafted, brewed or iced beverage on tomorrow, 3/23/10 between opening hours and 10a.m.! Click HERE to harvest your coupon.